Here is an old picture of me having a blast at a pumpkin patch. I am great at posing as you can see. What a weekend. On Saturday, I finally got to go to a pumpkin patch! The farm we went to was called Lehner’s Pumpkin Farm and it had everything! I definitely recommend it for a family fun outing or a place to go with your friends. They had a corn maze, pumpkin patch, hot chocolate and apple cider, train rid es and hay rides, a farmers market with fresh fruits and kettle corn, a pumpkin sling shot and a petting zoo! First, we went to the petting zoo which consisted of bunnies, goats and a donkey. Of course, I hopped right in to the bunny enclosure to hold one of them. I am a huge animal lover so I was in heaven. I also got to feed the goats and the donkey. Next, we went to the corn maze and boy was it difficult. We went into the maze thinking we could find the exit in 10 min. flat. It ended up taking us a good 40 min. Good luck to everyone else that tries to beat our time. We then went to the pumpkin patch and I was on a quest to find the roundest, orange-est, cleanest, smoothest pumpkin. I did not want any warts, dents or dirt caked on to it. My perfect pumpkin will help me carve the perfect jack-o-lantern. After scouring the patch, I finally found a pumpkin that was semi up to my standards and we headed back to the farm for some cider and browsing of the market. When the day was over and our stock of pumpkins and goodies were bought, we packed into the car and headed to a Mexican restaurant for a nice meal to end our fall adventure. My siblings and I looking awesome in our matching pooh bear costumes! Pumpkins are crossed off the check list for Halloween preparations, now I just need to carve them and find my costume! My boyfriend and I have a couple ideas, either Groot and Rocket Raccoon from Guardians of the Galaxy or Daenerys Targaryen and Jon Snow from Game of Thrones. 😛 I can’t wait! Nothing can beat my costume back when I was 3 though when I was Winnie the Pooh with my sibs. 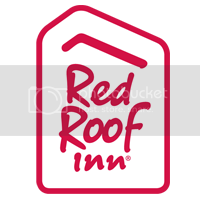 Remember that the Red Roof Inn is the perfect place to stop with low rates that allow you to get more out of your fall travel experiences! Have fun on your October adventures!